According to A TOWN NAMED ANNA, Joseph Schluter "anglicized" his name to Joseph Slater. Joseph Schluter/Slater had 2 headrights in this area, one under each name. Slayter Creek, which goes through both headrights, and Slater Creek Road were both named for him, but the creek was misspelled with a "y". This cemetery is on the verge of extinction. All that is left of it are the base of one stone and a foot marker. The base is around 18 inches square and is at the foot of a tree. 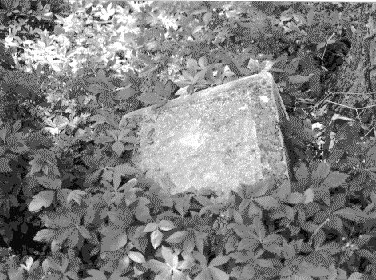 The foot stone is about 7 feet east of it and is hard to see. There is a tree house in one of the trees in the group. In 1974 there were 2 stones here. 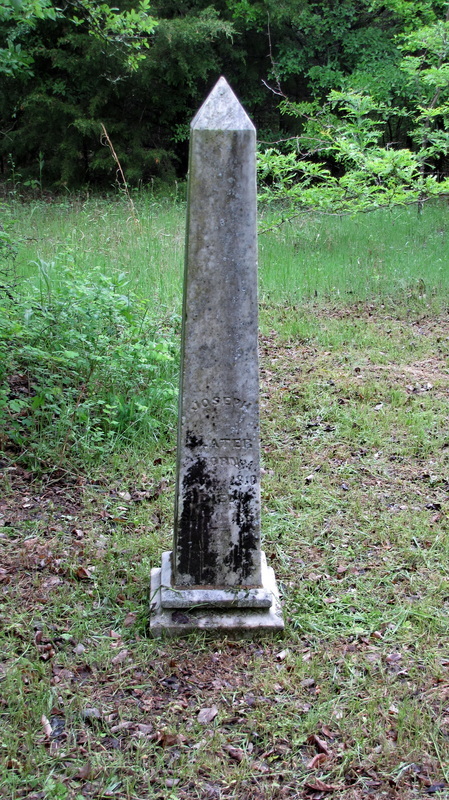 COLLIN COUNTY CEMETERY INSCRIPTIONS I lists the graves of Joseph Slater 1810 - 1851 and Barbary Slater 1821 - 1887. I have been told that there were carved bois d'arc markers in this cemetery. This is private property. The house is a 2-story log house that faces south. A large horse pasture is east of the house. The Jewett family presently owns the land. They ask that no one visit the cemetery without them because of the horse. There is another Slater Cemetery a couple of miles south of this one.